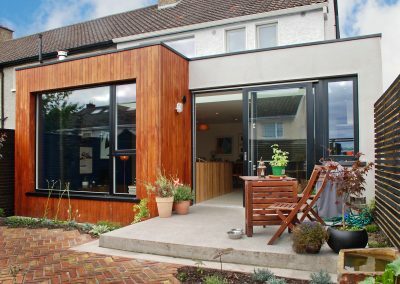 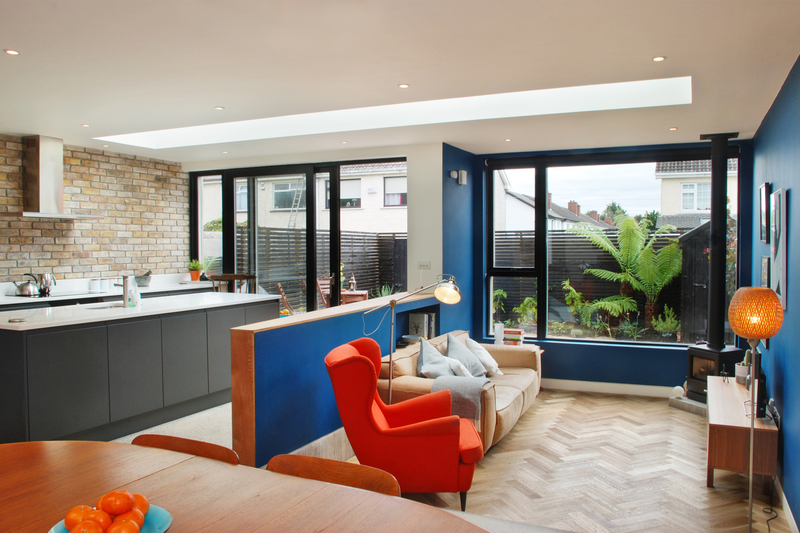 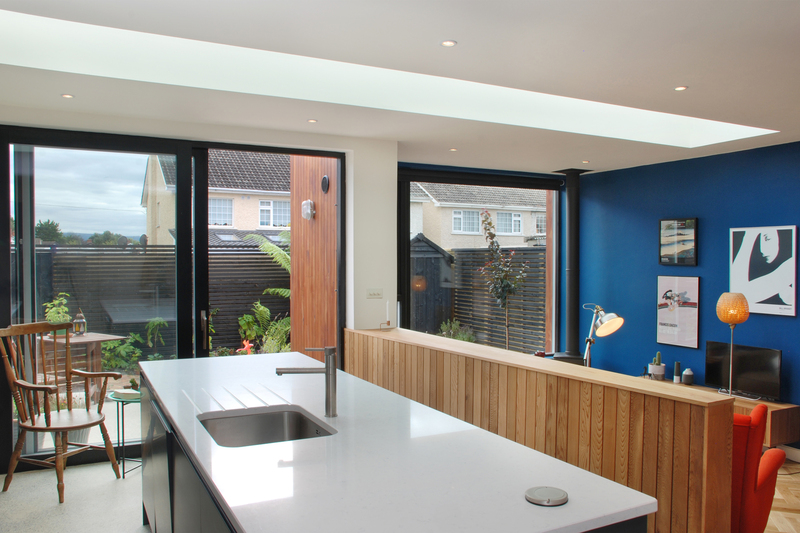 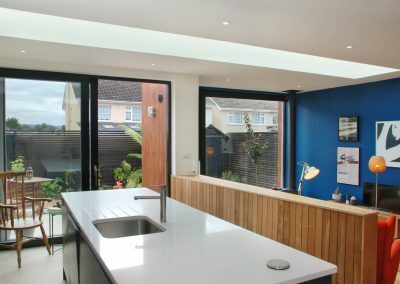 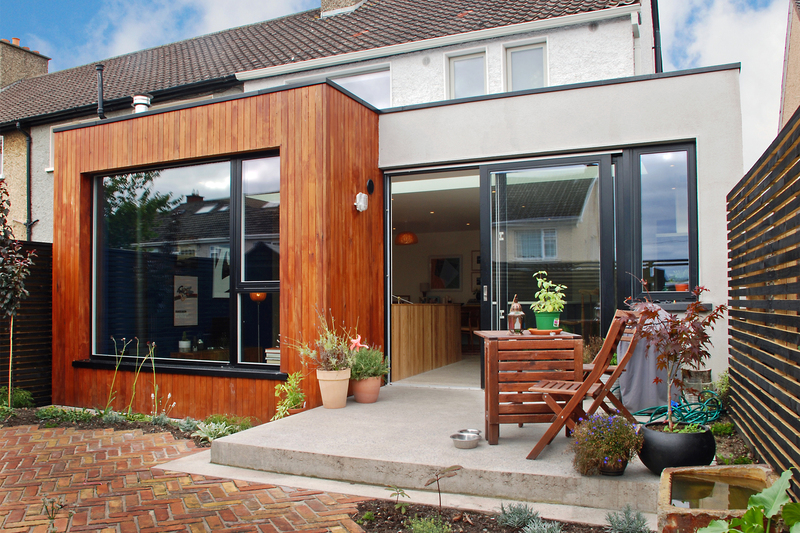 A contemporary flexible extension was designed that brings a richness of textures and tones into it’s occupants everyday living spaces. 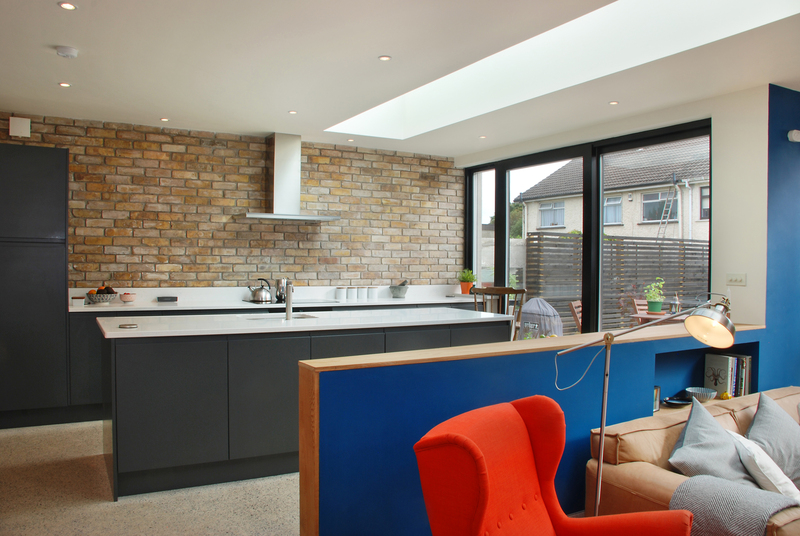 The materiality used in this project provides a richness in textures to the space. 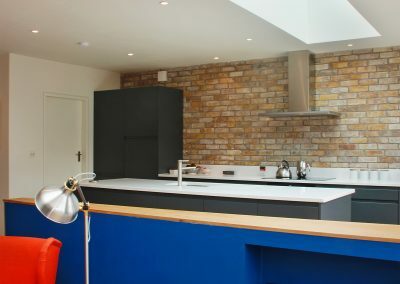 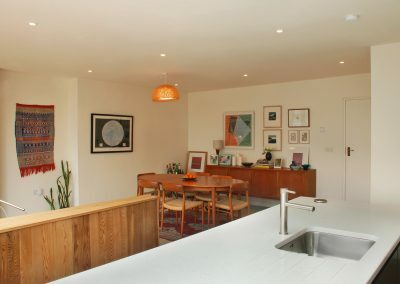 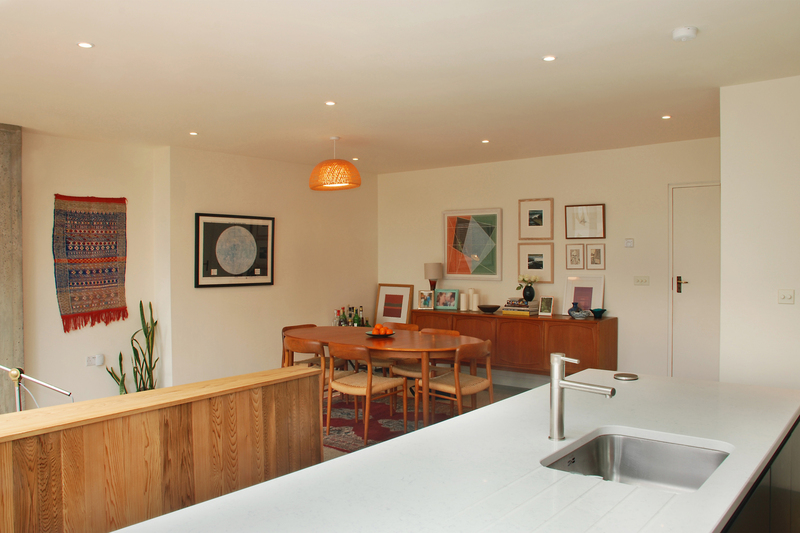 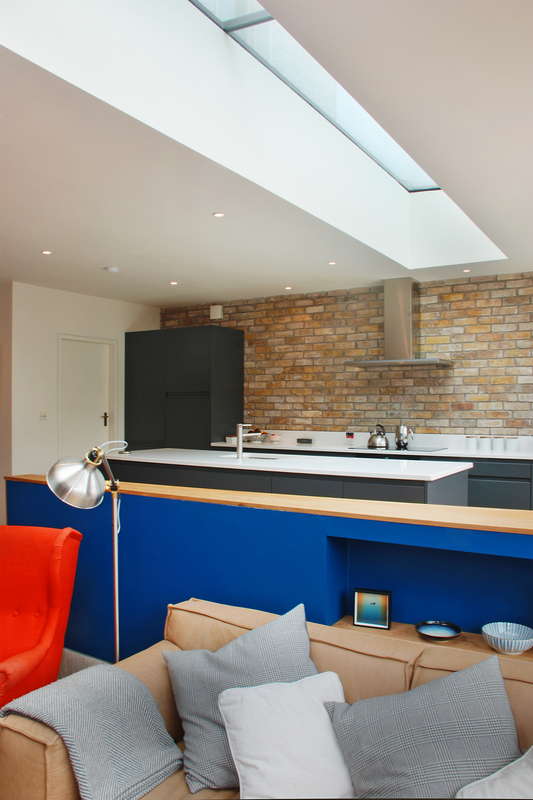 The minimalist dark kitchen compliments the exposed brick wall behind it and the polished concrete floor it sits on. 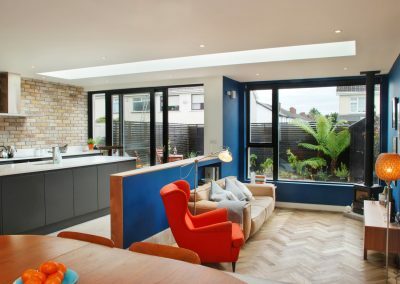 The pattern of the timber parquet floor in the sitting section is carried out into the external courtyard brickwork creating a strong connection between the inside spaces and outside.